Springfield, IL…C.D. 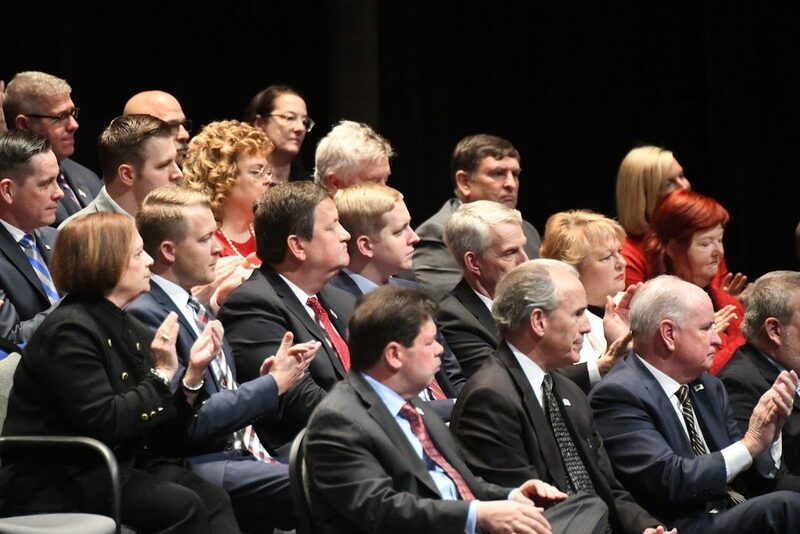 Davidsmeyer (R-Jacksonville) along with 116 other state representative-elects took the oath of office on Wednesday, January 9 during a ceremony held at the University of Illinois’ Performing Arts Center. 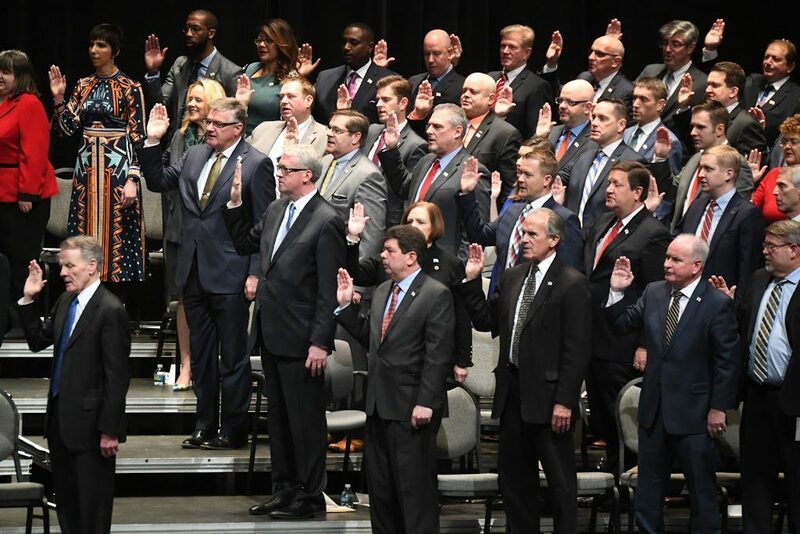 The Illinois House of Representatives is made up of 118 members. 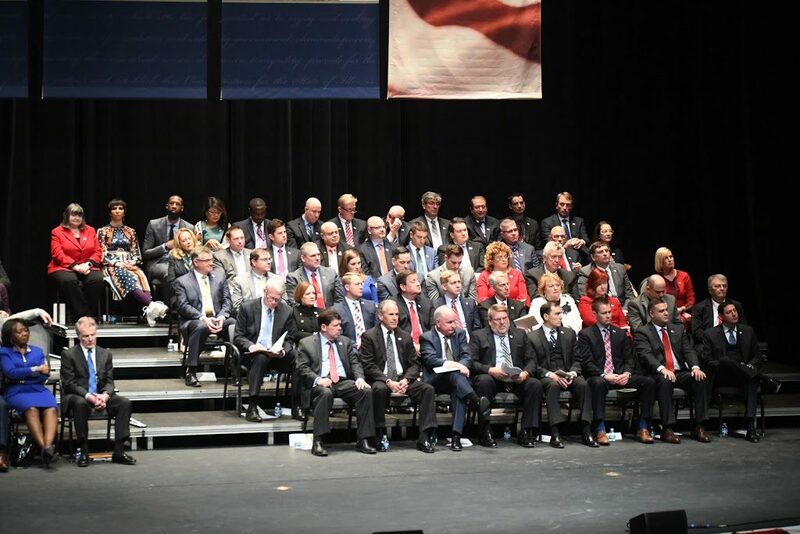 The body of legislators elected Jim Durkin (R-Western Springs) as the House Republican Leader and Michael Madigan (D-Chicago) as the Speaker of the House. Davidsmeyer: Second row, fourth from right. 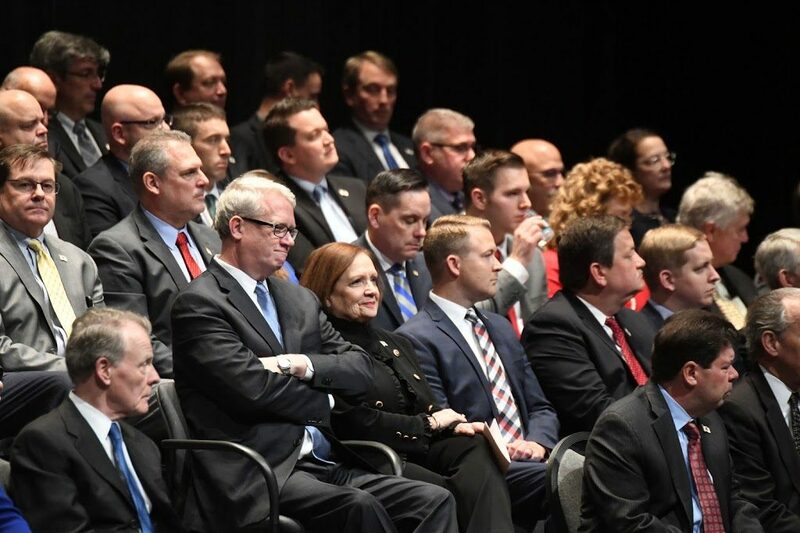 Davidsmeyer: Second row, second from left. Representatives Jim Durkin, Norine Hammond and C.D. Davidsmeyer sign their oaths of office. Representatives Jim Durkin, Norine Hammond and C.D. 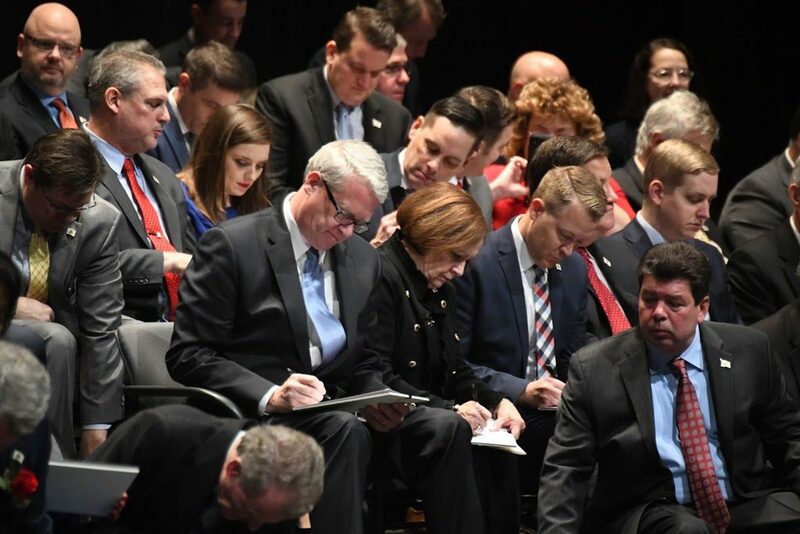 Davidsmeyer listen to nominations for the Speaker of the House.